Cat Litter is not only a requirement but is a necessity for all cat owners. When you get a cat home it is integral to get a litter box as unlike a dog the cat does not go out on a leash to go about its everyday business. It chooses to defecate in the confines of its own home. Hence, it becomes extremely important to choose the right product that will help to maintain the basic hygiene in your house, while giving your cat the privacy to go about his or her business. It is very important to choose the right litter box or tray for your cat, there is a wide choice available on DogSpot.in . You can choose one from the varied range of shapes and brands. You can choose one as per your budget and size requirement. Along with a litter box or tray, you will need cat litter and accessories that will not only ensure easy clean up but will absorb the smell as well. A cat litter is like sand or sawdust like material that provides a cushion to your pet and makes cleaning the litter box or tray a breeze. It is very important to choose the right litter for your litter box which will ensure easy pick up and cleaning and remove all odours from the box, which can linger in the house for a long time. There is a plethora of options available in different measurements as well as budgets. 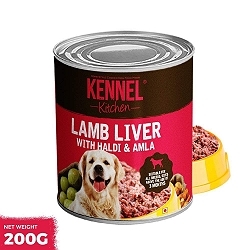 Along with this there is a varied range of accessories as well that will help you to remove the soil litter There is a range of deodorizers as well that will help to absorb all the foul smell that can be emitted from the litter box and trays, they come in various fragrances as well. 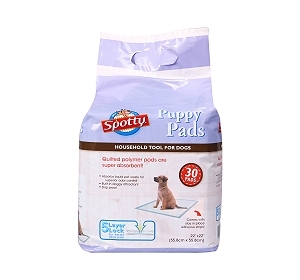 There are a variety of Cat Litter boxes available on DogSPot.in. The variety will not only leave you enthralled but will make you feel a little spoilt for choices. You can choose from a wide variety of litter trays that will make cleaning super easy and ensure easy passage for your cats. There is a range of covered toilets as well this ensures that your cat will have privacy when he or she goes for their everyday business and gives them the required privacy. These litter boxes or toilets have a flap door on it that ensures easy passage for your cats and one size suits almost every breed. Most of the toilets have a roof on the top that ensures that the foul smell is absorbed by it and does not spread into the house. You can choose one as per your budget from a wide variety of brands available such as Savic, IMAC, CatIt, TRIXIE and CatSpot. This is a must have for all cat owners. A litter tray or box without litter is of no use. The litter has to be filled on regular basis to ensure comfort for your cat. The soiled litter has to be removed on an everyday basis. You can choose from a wide variety of litter available on the sire; this includes cat litter crystals and clumping litter, which make it extremely easy for you to remove the soiled area from the litter trays or boxes. There is a specific range that even helps you to lock the odour in it; ensuring that anyone coming to your house is not greeted by a foul smell. You can choose from the various brands that are available on DogSpot such as Pet Brands, Cats Best, FibreCycle, Intersan and Fine Fleur. Litter Accessories include various different knick knacks that are integral for cleaning the cat litter and helps to ensure a neat and clean house for you and your guests. These include spatulas that are a must have to remove the clumped litter from the tray. These filters can be easily attached to the toilet and trays and will help to remove the odour. The fragrant sprays and litter deodorizers not only help to remove odour but ensure a lingering fragrance behind.